Winch Design may be best known in the yachting world for creating masterpieces including Madam Gu, Inoui and Al Mirqab but the studio has design credits which span far more than these magnificent floating palaces. 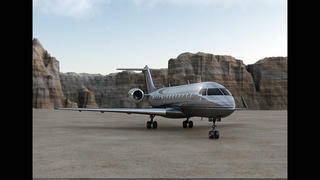 In 2015 it unveiled Project Mayfair, a line of private jets inspired by the elite London district it’s named for. Based on a semi-custom yacht model, each jet begins with a basic design but can be completely customised via a flexible layout and personalised interior design. 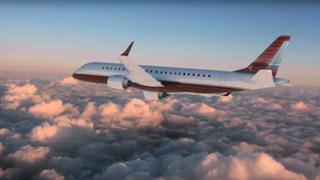 Less a private jet by a yacht designer than a private jet that takes all its design cues from yachts, Sky Yacht One was created by LA-based design firm Sotto Studios as a reimagining of an Embraer Lineage 1000E. Inspired by Thunderbird, the yacht designed by John Hacker in 1939 for George Whittell Jr., Sky Yacht One features mahogany ‘decking’, Fornasetti carpets, Reidel crystal and a custom StarClock inspired by traditional naval navigation techniques. 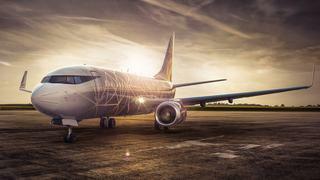 Another private jet project by Winch Design but with an utterly different feel, Atlas aims to bring back the glamour of the golden age of air travel with a focus on utter indulgence. Dark polished wood bookcases complement butter-soft leather chairs, fine crystal and luxury tableware while super soft beds are finished with the finest linens to turn air travel from a chore back into an experience to be enjoyed and savoured. 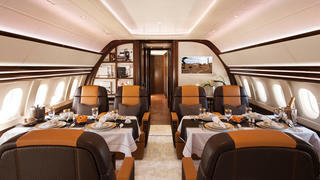 As well as penning the elegant lines and interiors of some of the world’s largest yachts including Pelorus, Al Salamah and Tatoosh, Terence Disdale has also lent the talents of his design studio to Bombardier’s popular Global 5000 business jet. This sleek gunmetal grey craft features an interior of cool cream leather, modern marble furniture and high-tech finishes such as touch screen entertainment centres attached to every seat. Famous among yachties for designing beautiful sailing yachts including Obsession II, Biniziyad and Apache, along with some wild superyacht concepts, PierreJean Design Studio has also created interiors for some very luxurious private jets. 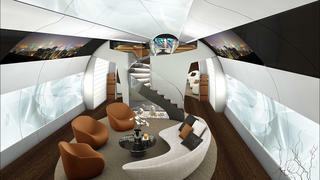 With a portfolio that contains no fewer than 13 private jet concepts, the stand out is undoubtedly the Boeing 747-800 which features huge living areas in a cool cream and brown colour palette, large TV screens integrated into the walls of the plane and even a spiral staircase leading to a cinema-style entertainment space.